Evernote is a premium application that is designed for note taking, archiving and personal plans organizing. It allows users to create notes in form of text, full webpage, handwritten ink, images or even voice memo. 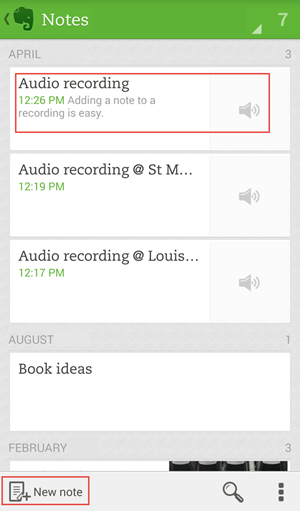 Evernote voice recording is one of the things that users love in this application. This is due to the fact that audio recording is faster than taking down notes especially when recording an interview, a class lecture, important meeting or a speech. To create Evernote voice notes can enhance the efficiency, below are the detailed ways to do it on computer or mobile. There are two ways available for you to use in recording voice notes on computer. The first one is utilizing the built-in function of the tool while the other one needs to draw support from a smart third-party application. Evernote comes with the voice recorder which you can easily access, follow the steps below to insert voice in note. 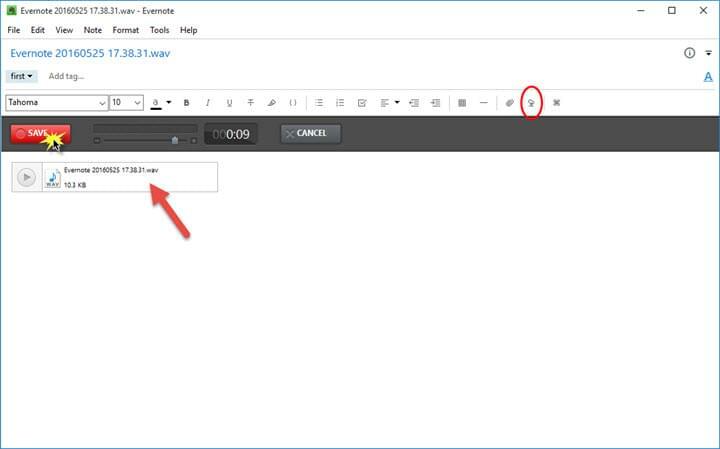 Create a new note by clicking “File” – “New Note” or open an existing note. Click the mic button in the formatting bar, the Evernote voice recorder will open. Click “Record” to start recording. You’ll see a red dot on the menu bar icon indicating that a note is currently recording. Once finished, just simply click “Save” button to stop recording and save it as voice note. This way is really convenient, but also has its drawbacks. First, the free version has only the size limit of 25MB. If you want it to record longer audio file, then you need to pay for the premium plan. Besides, it saves audio in WAV only and the files sometimes cannot be played normally. Given these drawbacks, the alternative way would be helpful. Apowersoft Free Online Audio Recorder is a free online application that is designed to record audio from the microphone and PC sound card. It has no time or size limit in terms of recording audio. 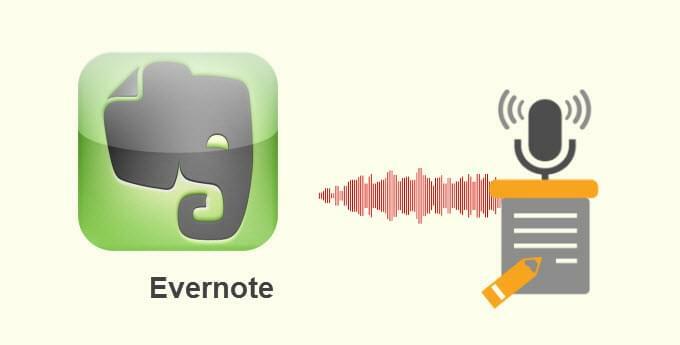 Now, let’s see how to create Evernote audio recording using this app. Visit the voice recorder on Chrome, Firefox, Safari or other browsers. Click the “Start Recording” button so that you may start with the audio recording. Except record mic voice, you are also supported to record chats, courses, interviews and music which played on computer. Enable the launcher in order to activate the app. If you haven’t downloaded the launcher yet, just follow the guide to install the launcher to make sure the voice recording operates smoothly. 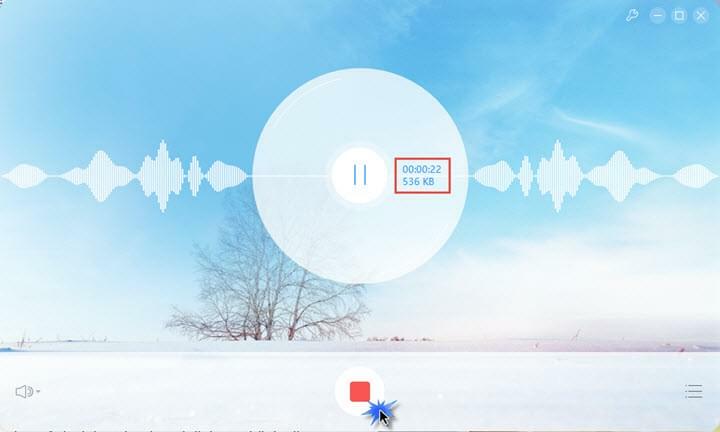 When the recorder is ready, click the red “Start” button to start recording, then click the “Stop” button in the lower part of the tool once done. Upload audio to Dropbox or Google Drive and then insert the URL into Evernote. This tool allows you to save the audio note without size and time restriction. However, the only drawback is that it requires more procedures when comparing with the embedded Evernote voice recorder. Aside from PC, you may also use Evernote on your mobile phone and tablets. Just go to the App store or Google Play to get it, and some Android phones have Evernote that was pre-installed on the device. 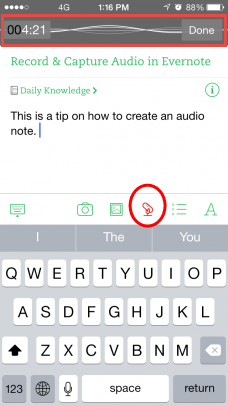 Below are steps on how you can create Evernote audio note on your iPhone, iPad and Android phone. Launch the application on your iPhone. Make a new note by clicking the “+” button or open an existing note. Click the mic icon, a three-second count down will appear, then it begins to record the voice. Once done, tap the “Done” button to save recorded file. Open the Evernote app on iPad. Tap on “New Note” on the bottom part of the screen and then click the microphone icon to start recording, tap the “Done” button to stop recording. Click “Save”, the voice file will be inserted to the note. Launch Evernote on Android phone or tablet. Tap “New Note” to create a new note. Open “Tools” menu and choose “Record Audio” option. The recorder will show up, click “Record” to create voice notes in Evernote. Afterwards, tap the “Stop” to save recorded voice into the note. Those are the best ways for making audio notes in Evernote. All of them are easy and helpful, just try and choose the preferred one for yourself.